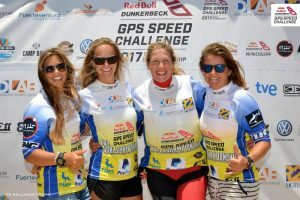 During the last 6 days of the Dunkerbeck GPS Speed Challenge up 50 international riders competed for the title of the 2017 Speed World Champion on Fuerteventura. 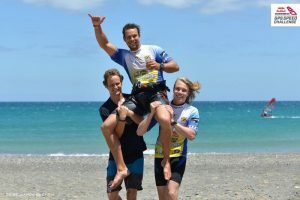 The conditions were at the beginning challenging wavy but got more and more consistent with perfect wind and flat water. 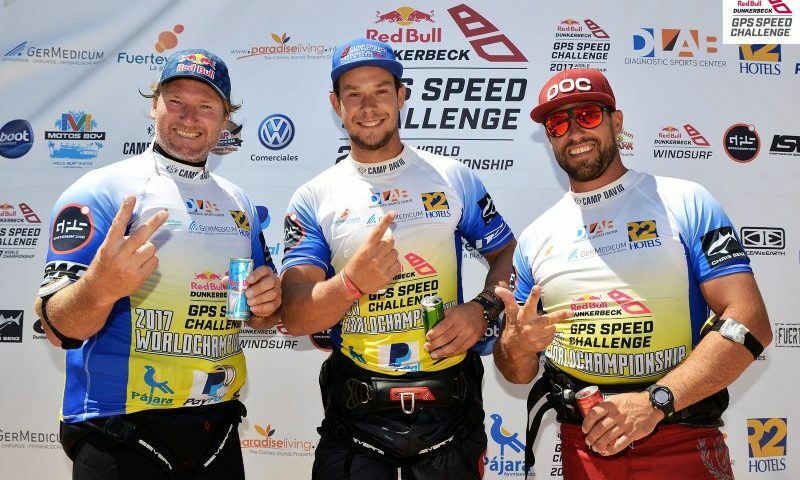 We are happy to announce that our team riders Zara Davis and Twan Verseput did both a more than perfect competition and won the titles of 2017 Speed World Championship ISWC. Congrats also to Anne Schindler and Miriam Rasmussen doing 2nd and 3rd place in the women’s fleet and Bjoern Dunkerbeck and Markus Emanuelsson doing 2nd and 3rd place in the men’s fleet. Zara and Twan used our symmetrical speed fin GPS_6 in different sizes. Photo credits go to Eric Bellande who made fantastic pictures during the event. 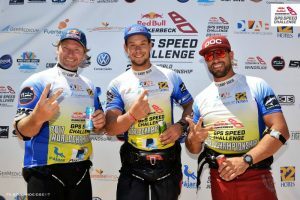 Also have a look to fb Dunkerbeck GPS Speed Challenge 2017 to see more pics and details.